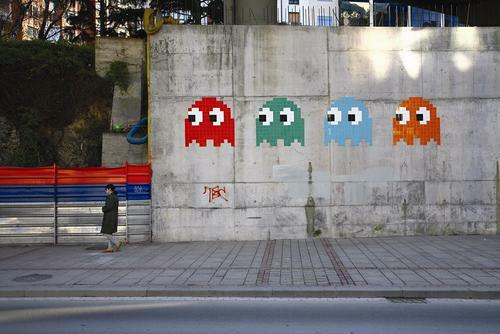 © Courtesy of the artist & A.L.I.C.E. This artist is responsible for perhaps the most recognizable street art stunt of the last decade. 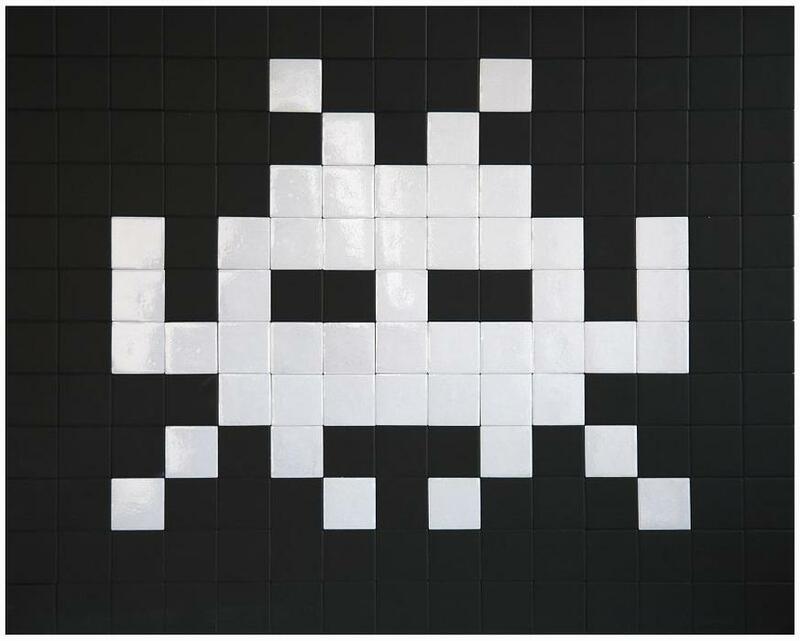 In a planet-wide war of attrition, the pixilated expansionist aliens from Toshiro Nishikado''s infamous 1978 arcade game Space Invaders stalked the Earth one more, appearing everywhere from on the 'Hollywood'' letters to Jacques Chirac''s lapel. 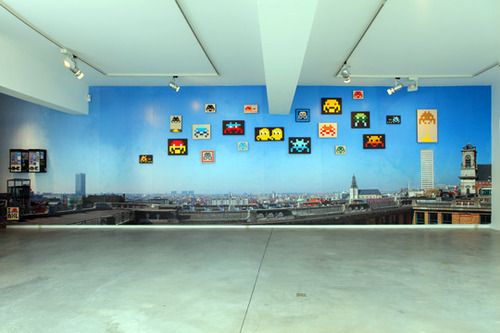 Despite a counter-attack in Los Angeles, where a local ''vigilante'' group fought back against the Invaders defiling any they saw, eighty-five percent of the original put-ups remain.Gallic in origin, Space Invader''s work is distinctly in its whimsicality, offering the viewer not only some tasteful Parisian-style vandalism but the opportunity to theorise wildy about what its purpose may be. Is it easier to see the modern world through the values of a simpler and more idealistic age? 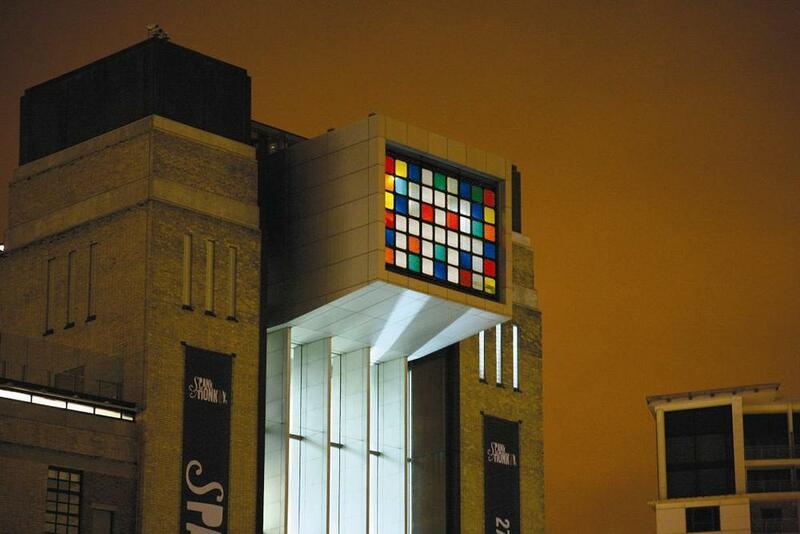 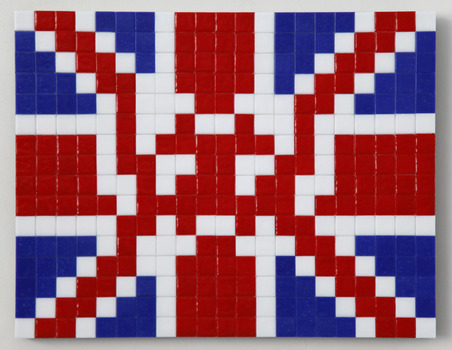 Are the pieces an aggressive attempt to conquer the artist''s alienation from his surroundings? 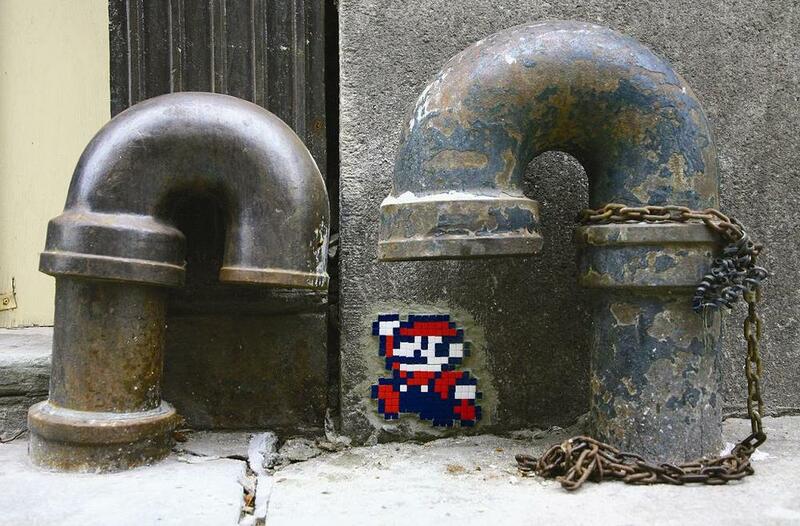 This is the sort of stuff you find yourself thinking when confronted by French graffiti. 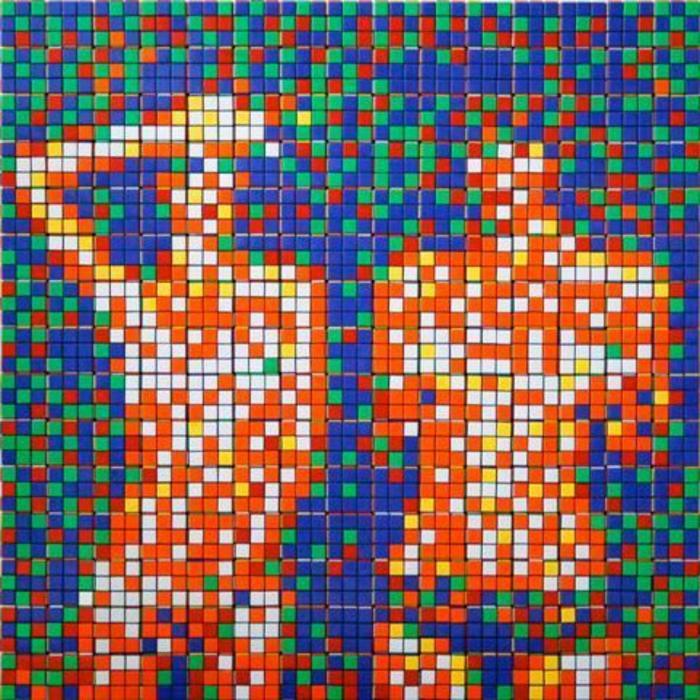 Invader''s new gallery pieces are made up from hundreds of original Rubik''s cubes (we''re not telling you where they''re from, but we have loads out the back). 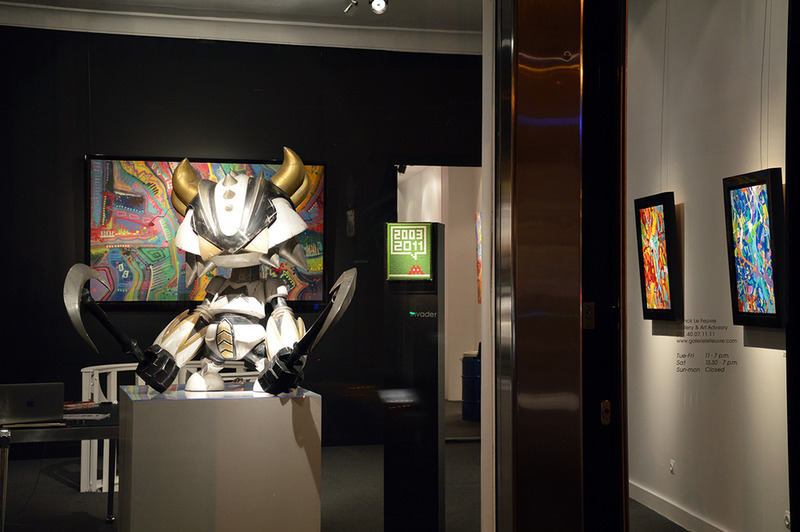 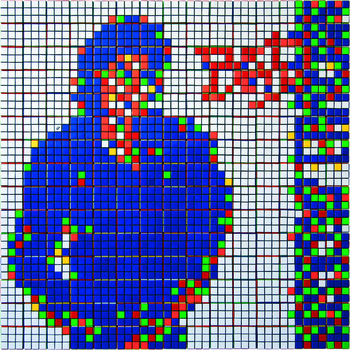 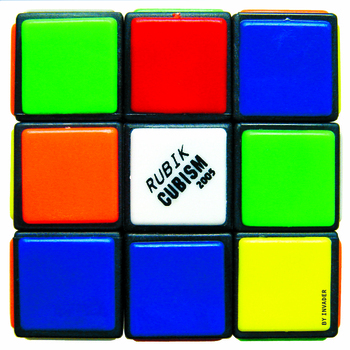 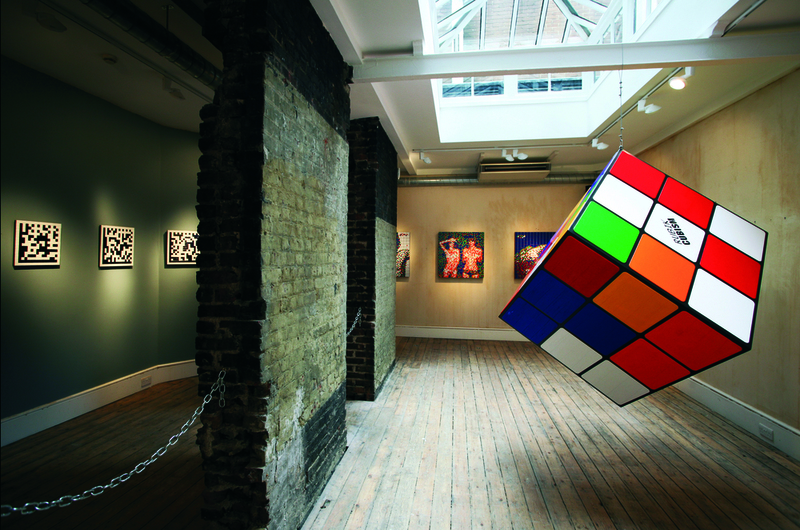 Ranging from interpretations of iconic images (the Mona Lisa, Alex from A Clockwork Orange) to the abstract (representations of fragmented and de-fragmented hard drives), the Rubik''s pieces are as instantly recognizable as Space''s Invaders, and on their way to becoming just as internationally recognized. No little square stickers were peeled off and moved around in the making of these artworks.